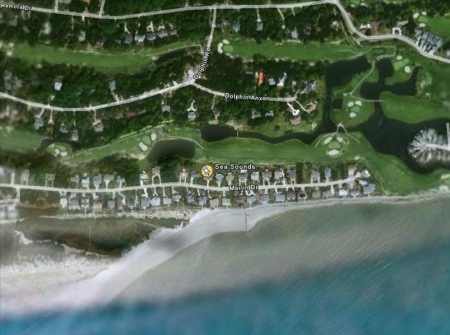 Sea Sounds located on prestigious Marlin Drive, Fripp Island S.C. is your ideal vacation destination. Perfectly situated steps from the ocean (truly the best beach location), whether high tide or low, enjoy the convenience of walking to and from the beach! 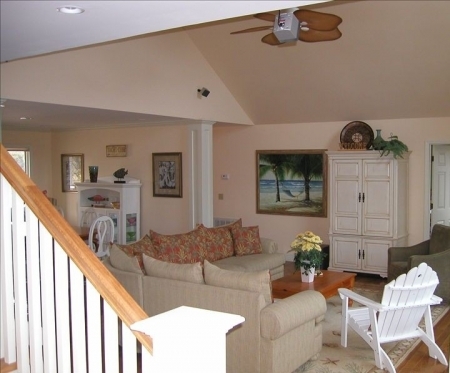 Sun bathe on the front deck and enjoy the sites and sounds of the Atlantic Ocean. 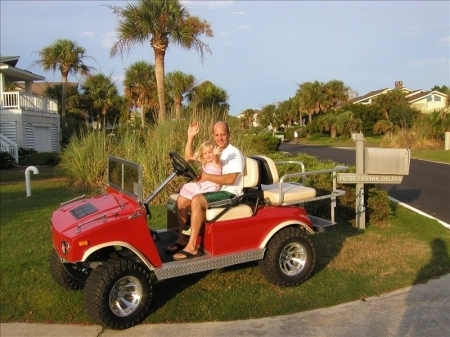 Take advantage of our Red Hummer golf cart and beach bicycles to explore the entire island or travel to the pools, fitness center or the tennis courts. 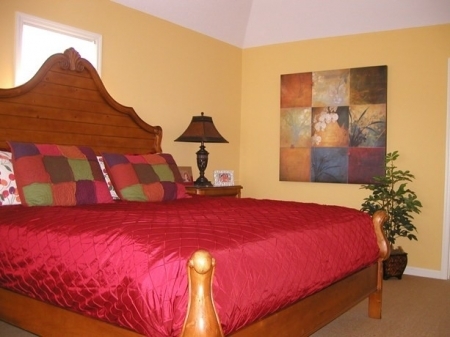 Our 4 bedroom 3 full bath home includes 2 master suites, King (Golf View), Queen (Ocean view). An ocean view bedroom (full size bed) with French doors to the front deck and a large 'bunk' bedroom with two sets of bunk beds (twin over twin and twin over full) complete the sleeping arrangements for 11 guests comfortably! Our home theater entertainment system includes, Surround Sound, VHS and DVD Library. Bring your iPod and just plug in! The house is wired with XM Satellite Radio for your enjoyment. Bedrooms have TV's with DVD and radio. 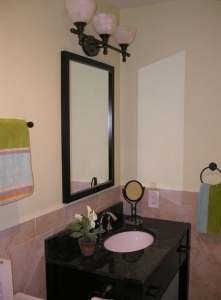 Our kitchen includes granite counters and all professional grade stainless steel appliances. Preparing your favorite low country dinner will be a delight. Enjoy your meals in our spacious eat-in kitchen, separate dining room and screened in porch. There is more than ample room to stock your groceries in our oversized Woodmode cabinetry. Beautifully furnished and overlooking the 8th tee of the Ocean Point Golf Course and several lagoons, our porch is the perfect spot for morning coffee and leisure reading! Or enjoy cocktails at sunset! Work-a-holics...don't fret...bring your lap top if you must and watch those golfers tee off! 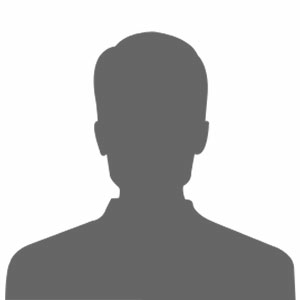 Wireless internet access, free long distance phone service, computer station and Satellite TV are available for your pleasure. 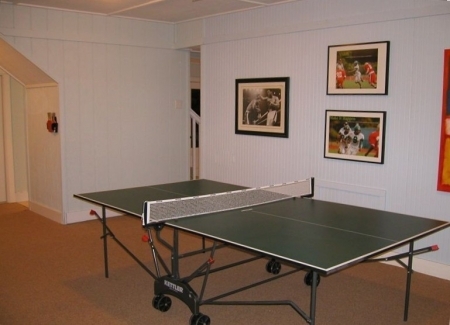 Set up a table tennis tournament or get the family together to play any one of the games from the activity cabinet. For the teens and the young at heart enjoy our spacious rec. room in the lower level. This finished and air conditioned living space is comfortably furnished complete with ping pong table, magnetic dart board, stereo, DVD player and satellite TV. Sea Sounds beauty and location will have you returning year after year for a memorable family vacation. Remember, if you want a peaceful, fun filled vacation just steps from the sea then Sea Sounds is the place for you! Since we do not accept credit cards we ask for a $400 damage protection check be sent to us 60 days prior to arrival. Last week was the nicest week we have ever enjoyed in our ten years vacationing at Fripp. The beach on Marlin Drive is the prettiest that it has ever been, and since there was so much shallow water at low tide, the kids were able to see sting rays and horseshoe crabs swimming thru the water! They had a blast at the beach, the pools, playing duck duck goose behind your home on the golf course, making beach super-hero masks, and cruising in the pretty red golf cart. The kids loved the ping pong table and game room downstairs, too. Thank you for helping to make our stay so enjoyable! This was our second year to stay at Sea Sounds and it was just as enjoyable as the first. The DeLuca\'s take great pride in their home - and it shows. 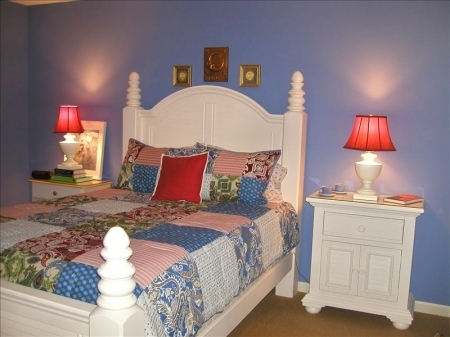 All the rooms are tastefully appointed and very clean. The kitchen has all you will need to \"eat in\" if you choose to do so. We were blessed with two weeks of sunny skies and comfortable temperatures. During our stay, we walked the beach and beach-combed A LOT. During one walk, we were treated to seeing a pod of dolphins feeding off shore! The bikes allowed my teenage daughter and her girlfriend to explore the island on their own which was nice. I felt very comfortable they would be \"safe\" while out on their own. The grill on the back deck was teriffic; we grilled steaks and hamburgers several nights. We even had a few deer come around and feed whilst we grilled. One the the things my husband and I enjoy most about Sea Sounds is its relaxing environment. I really enjoyed reading on the front deck and listening to the ocean. As to day-trips, you can get to Savannah and Charleston in under two hours. If you like to shop, there are all kinds of neat stores in those cities. Beaufort is also very quaint. We enjoyed talking to the shop owners and learning more about the area. With Sea Sounds, you can do a little or do a lot. It really is a fabulous place to vacation. Be sure to stargaze at least once while you are there - it is magnificent!! This was our second visit to Fripp, and it blew our first visit out of the water! 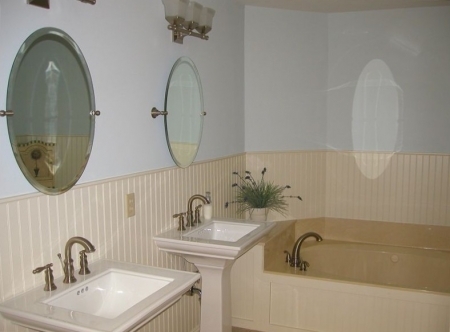 This home is extremely nice, with perfectly placed bedrooms, nice decks, wonderful deck and upgraded kitchen. I could have stayed another week. My kids had a fantastic time riding bikes, the beach was close by, the front deck has an ocean view, and the view of the golf course off the back deck was wonderful. We loved seeing alligators and deer! I can\'t wait to plan our next vacation back to this home. We have been visiting Fripp Island for 16 years and Sea Sounds is the best house we have ever stayed on the island. The kids loved the downstairs play room. We enjoyed the back screened in porch each morning and the sunsets on the deck each evening. first rate accomodations. great location and loads of fun for the entire family. we had a fabulous vacation. 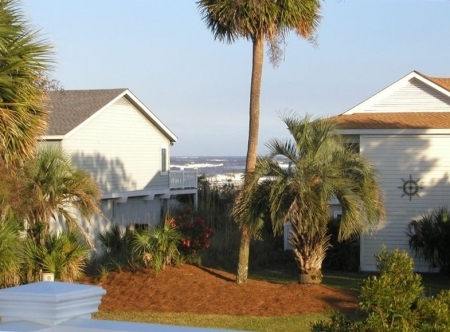 couldn\'t have asked for a better house or place to chill and enjoy everything Fripp has to offer. a true gem. great owners. Clean, updated house... Very roomy and comfortable. Great extra room downstairs. Very close to the beach. Owner is great to work with.